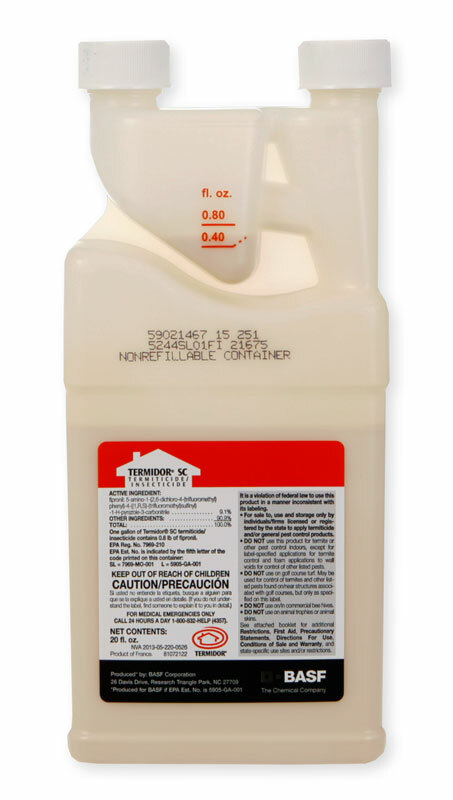 After our discussion several weeks ago I decided to go with termidor for my home termite treatment. I have a partially submerged partial basement that I had to treat to a depth of 5 feet, a partial crawl space with one wall that had to be treated to the five foot depth and the other three walls treated to 18", and then an attached slab 2 car garage. All of this is block on a poured footer. Then a detached two car garage and workshop on a slab with block on poured footer . I have burned through a 20 oz bottle, 2 78 oz bottles, and am well over halfway through my final 78 oz bottle of termidor mixing accurately at .06%. All of my soil barriers are in place including all concreted drilled. I still have some wall voids to take care of that I know the termites were in and I still have some of the block voids to treat. I am going to need about 12 extra ounces of product to finish this. The extra I need is not going into the soil but will be foamed into blocks and wall voids only. Is taurus ok for this or will i get longer protection out of the termidor? Nick, all is well, Call Dee and we will get you a great price on Termidor. 1-855-55-EPEST (37378). Tell Dee (my wife) that Ron told you to give you the Termidor at the Taurus SC price.